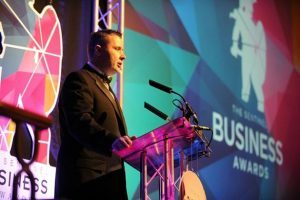 We are hoping for more success for award-winning Tuffa UK at the prestigious Sentinel Business Awards at the King’s Hall in Stoke later this month. We submitted our application in the Business Innovation category, sponsored by Staffordshire Business Innovation Centre, and are delighted to have won through to the final three companies who entered this caregory. Tuffa UK’s application focussed on the development of a new range of bulk storage and dispensing tanks for the diesel additive, AdBlue®. Our team designed and developed an AdBlue® Tank housed in a plastic welded bund with garage fuel pump type dispensing for nationwide forecourts and transport businesses. We also produce a plastic range of Tuffa AdBlue® Tanks with capacities from 1350 – 15,000 litres. The tanks are lightweight, easy to transport and install but provide users with a tough, long lasting storage and dispensing solution. Tuffa AdBlue® Tanks can be supplied as Holding Tanks, Dispensing Tanks or Dual-Compartment Tanks enabling the AdBlue® and diesel to be stored in the same bunded tank. In addition, we have developed a unique, patented Tuffa Fire-Protected Tank. This features a fire-proofed material that is factory-fitted to a heating oil or diesel tank. There is a choice of 30 or 60 minutes fire-protection, and tanks can be produced in both plastic and steel. Tuffa Fire-Protected Tanks comply with all legal regulations and are delivered with full Local Authority Building Control (LABC) Certification. This means that they can be located adjacent to buildings or within an out-building or garage. Installation costs are reduced and fitting is quicker as no additional building work, brickwork or firewalls are required. The Sentinel’s Editor-in-Chief, Martin Tideswell at last year’s award ceremony. Picture courtesy of The Sentinel. 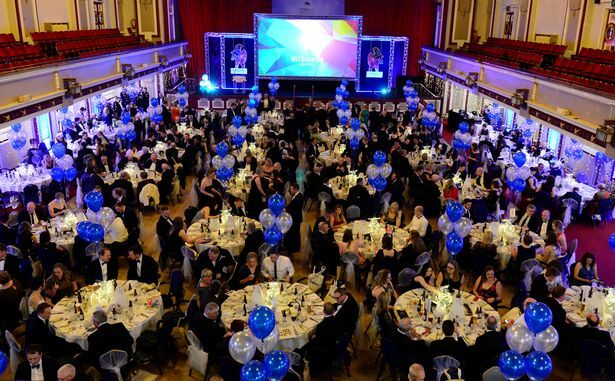 The Sentinel’s Business Awards will be held at the King’s Hall in Stoke-on-Trent at a glittering Gala Dinner on 21st March 2018. 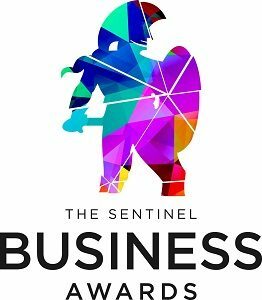 During his speech at last year’s awards, The Sentinel’s Editor-in-Chief, Martin Tideswell said: “Since 1995, The Sentinel Business Awards has highlighted the companies and individuals, the wealth-creators, the innovators and the hard workers who make the local economy tick. Last year, Tuffa UK celebrated 25 years at our Dovefields Industrial Estate premises in Uttoxeter. We are a second generation family business committed to innovation and product development. As well as plastic and steel tanks, we offer bespoke tank design and production together with a new Custom Moulding service. This will offer customers the opportunity to manufacture designs as one seamless plastic product. General Manager, James Shenton, was understandably delighted to be short listed for the Sentinel’s Business Innovation Award. “We are always listening to customers and constantly developing and investing in new technology. We’re committed to designing and producing the most innovative liquid storage and management systems available,” he said.